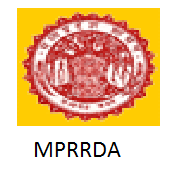 Online Application Details for Madhya Pradesh Rural Road Development Authority MPRRDA Recruitment of 50 Sub Engineer and 25 Assistant Manager is given below. Application form and duly attested documents are to be sent to Madhya Pradesh Rural Road Development Authority, Block-2, 5th Floor, Paryavas Bhavan, Arera Hills, Bhopal, Madhya Pradesh. In envelope super scribed with 'Application for the Post of Post Name'.